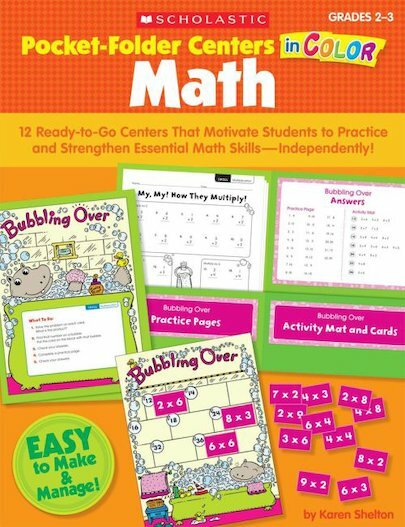 These full-color, portable centers are perfect for practicing key math skills. Designed for independent use, each easy-to-make center includes a hands-on activity, reproducible practice pages, answer keys, and simple step-by-step directions. Just pop the pages into a pocket folder and the center’s ready to go—kids can use it at their desk, a learning center, or even at home! Math topics include addition, subtraction, multiplication, division, place value, fractions, time, money, measurement, and more. For use with Grades 2–3.